Equipment Service Center – Tackling the tough jobs! The Equipment Service Center at Garden State Highway Products, Inc. (GSHP) is a certified equipment service center for new equipment, parts and accessories, maintenance and repairs to rental programs. 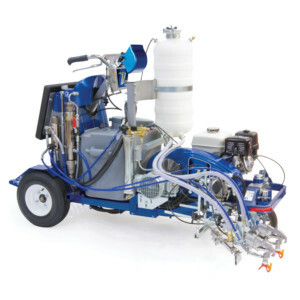 Our factory-trained technicians provide quality maintenance and repairs for leading paint spray manufacturers, such as Graco and Titan. Call us at 1.856.692.1300 or email our Service Manager, Howie Raines at Howie@gshpinc.com.